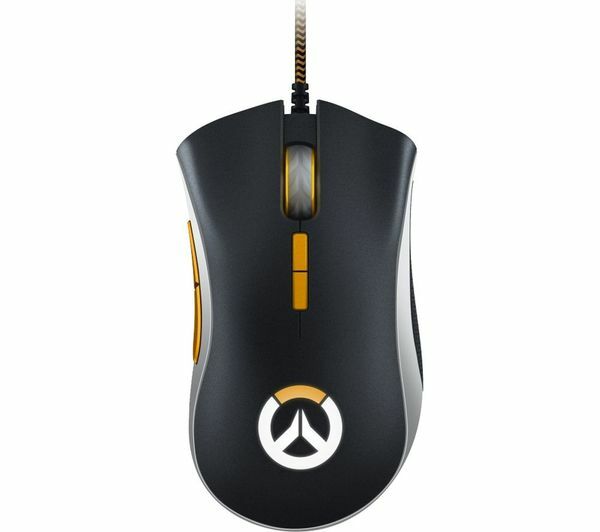 The Razer DeathAdder Elite Overwatch Optical Gaming Mouse features an advanced esport-grade optical sensor, giving you fast and accurate control over your gaming. 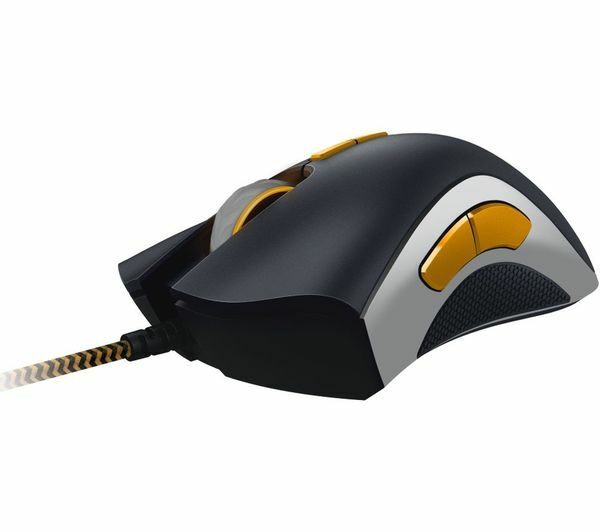 With true 16,000 DPI and true tracking at 450 inches per second (IPS), the gaming mouse gives you a crucial advantage over your opponents. Its resolution accuracy of 99.4% lets you land more killing blows on enemies, aiming with pinpoint precision. Razer Mechanical mouse switches are optimised and tweaked for incredibly fast response times, offering an extended durability of up to 50 million clicks. Featuring iconic ergonomics, the DeathAdder Elite provides a comfortable gaming experience even during the most intense battles. 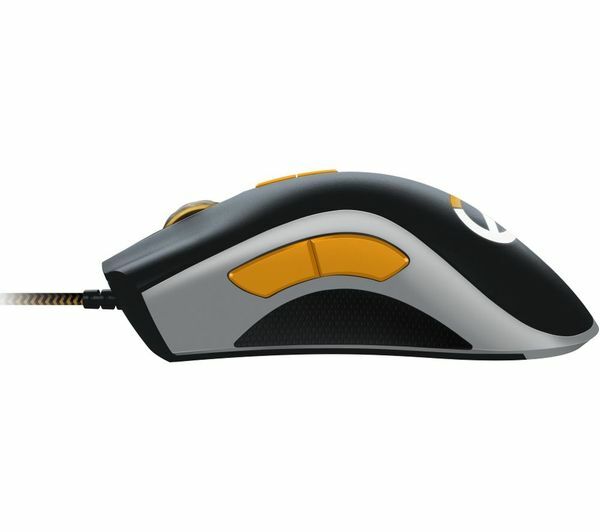 Two rubber side grips and seven programmable buttons keep you in complete control at all times. 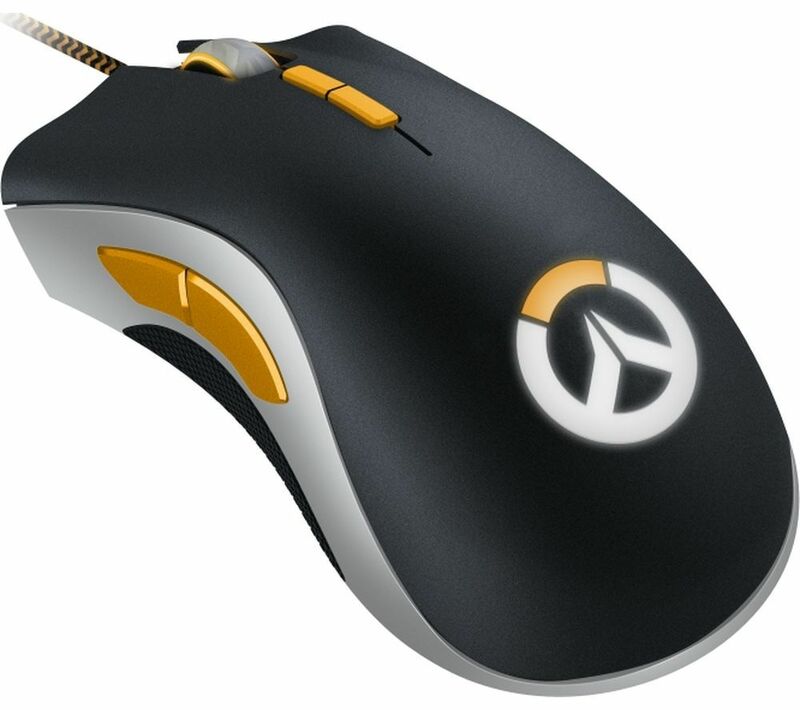 The special Overwatch edition is designed to commemorate the anniversary of the game series. Dominate your opponents everywhere from the Horizon Lunar Colony to the Oasis, enjoying complete control. To deliver a unique gaming experience, the DeathAdder Elite can be customised with 16.8 million colour options. Choose from spectrum cycling, breathing, static and reactive lighting effects to create a personalised peripheral to reflect your gaming personality.